"Owner is so pleasant. Nice to see"
"Sure glad you are there! Great attitude and customer relations. A real asset to the community"
"My visit was absolutely great! Complete satisfaction. Won't ever go anywhere else for my vacuum services. The little one is soo sweet too. Lol." "Very positive , thorough, and a great addition to Orchard." "You are always friendly and helpful when I come in." "Easy and comfortable, wonderful customer service, thank you"
Just wanted to let you know how much we appreciate you and the service you provide. We have shopped at your store several times for accessories and have been well pleased. Today we picked up our Simplicity 6 vacuum which stopped working. You went out of your way to trouble shoot and perform preventative maintenance on it quickly do to our situation. Thanks so much for your professionalism and great work." "Thank you for fast service!" "Loveland Vacuum fixed our Dyson. They were quick, honest, taught us some things about keeping our vacuum clean and had a fair price. Thank you!" "I took my Brother sewing machine in for repair to Loveland Vacuum on the recommendation of a co-worker. The customer service was professional and friendly. My machine was repaired lightning fast and for a super reasonable price. A great experience!" "I appreciated your quick, free and honest evaluation and estimate. I will definitely recommend to others." "Informative, kind, went out of your way to give ideas and information"
​"This business is so fantastic.Took my 91 year olds mother vacuum in because the roller wouldn't turn. He worked on it while we were there and lots of customers coming in.He fixed it by the next morning. There is not a better customer service company in Loveland.YOU R AWESOME. THANKYOU." "Thanks so much for your help and advice!" 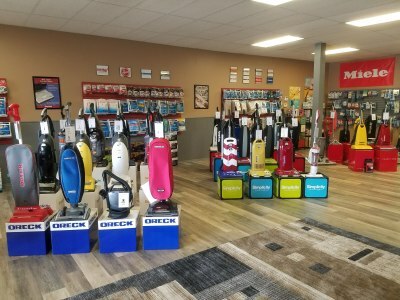 "It is so nice having a knowledgeable worker in our vacuum store. We appreciate the service he gives!" "Robert does a great job!!" "It was nice to speak with Robert and feel like we were being informed about our choices rather than being pushed to buy a vacuum." "Everything that was expected was delivered!! This was an excellent experience - I will recommend Loveland Vacuum to all of my friends!!" "...also, learned a lot :-)"
"Very helpful when I asked questions"
"Robert is great...full of knowledge, courteous, polite and just a pleasure to work with." "Quick and friendly with getting our vaccuum repaired. Thanks!" "always great service!!! Thank You!!!" "I'm very pleased with the service you did on our vacuum. The customer service was great and the vacuum is so clean. I haven't used it yet, but I'm sure it will be in tip-top shape. " "1st time in the store, will definitely come back when we need parts, service or a new vacuum." "I found Robert on Angies List a few years ago and have used him for my vacuum repairs in the past, just purchased a new vacuum from him and it's a great product, he's very through on explaining the features of the vacuum and I would highly recommend him." "It was a positive experience all around! I was charged very reasonable amount for only what was needed. This is a business with integrity and I have confidence in being treated fairly." "Love this place it is my definately my go to place!!!" "it is nice to have a reputable service in Loveland thank you again." "Great service. He went the extra mile for us and we'll be back...Thanks!" "I am so happy with my new Simplicity vacuum. He even carried it out to the car for me." "I very much appreciated Robert's thoroughness in explaining the details of the Miele vacuum upon purchasing the special edition model. Thank you." "Always very helpful & courteous"
"Great Store, great service and fun to go there." "Great job and prompt time frame"
"Nice to have good service and an understanding of how to offer more services and take care of any problems that one might have"
"Our old Dyson needed some TLC and they did a great job. Thanks!" "Robert very friendly, accommodating and professional. Nice place to do business." "my vacuum is new again!" "Robert and Jessica are awesome and I would never consider buying vacuum or sewing equipment from anyone else. Even if the price was 1/2 you can't beat Roberts expertise on repairs!" "Real nice guy working there. Knew exactly what I was looking for. I usually go to Fort Collins for parts, but now I have a new place to get my parts. Thanks." "I have been coming to the shop for years. It is always a pleasant experience." "Nice selection and knowledgeable staff"
"Thanks so much for taking such good care of our vacuum and sewing machine - we recommend you to others!" "Appreciate the knowledge and time Robert shared with us." "Great family run business. Top notch service. Would reccommend my friends." "Great service and had the part I needed in stock. Glad they are here in town with friendly, expert service." "Guy is always very nice"
"I always get great service and reasonable prices. Thanks!" "Very knowledgeable and responsive to customer." "Thank you so much for getting my steam cleaner repaired so quickly!" "I had a little bit of a wait, but I didn't mind since I was given detailed information for what was wrong with my vacuum cleaner." "Great service and answered all my ton's of questions. Very knowledgeable." "The vacuum works like new...thank you ...we are very pleased." "Store was neat, organized, we'll stocked. Robert was extremely knowledgeable, polite, fully answered questions. Did not feel pressured at all. Seemed to welcome giving us time to decide. Made us feel very comfortable. No hesitation to return to purchase in the future." "Great expertise and advice. 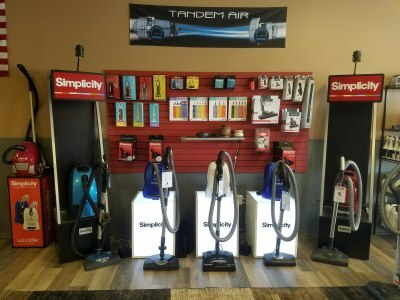 I like doing business with service oriented small businesses, and Loveland Vacuum is an exactly that.. Very satisfied." "Thank you for getting us our vacuum back and working well so promptly. You are appreciated." "Fixed my Beam Vaccuum head, in record time and at a great price!" "Best service ever. fast friendly did a great job fixing my vac." "Friendly and helpful service. Had exactly what I needed! Wonderful experience." "Thank you so much for the fantastic service!"